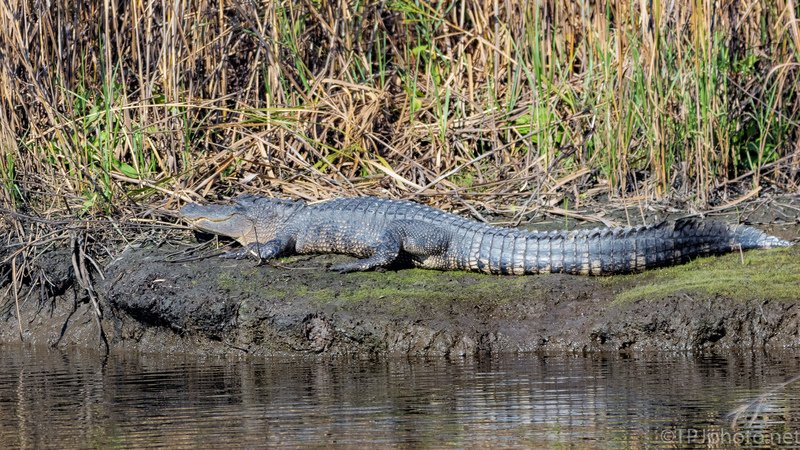 A little more to document the fact that Alligators will stop and sleep anywhere. 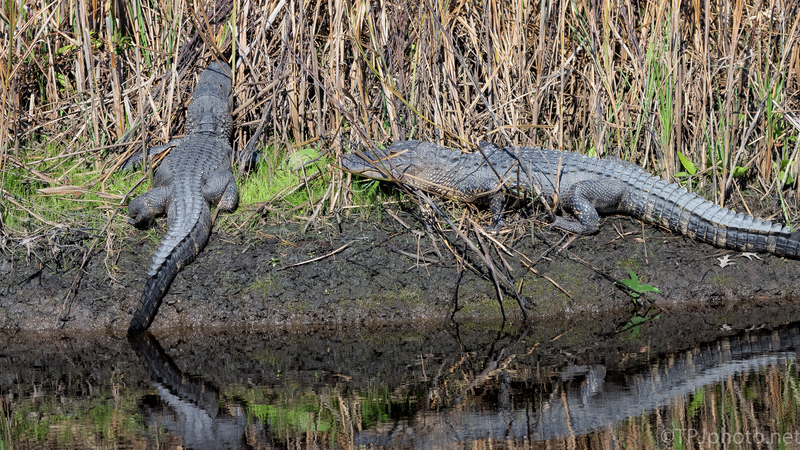 When out shooting I don’t make a plan to capture Alligator shots. We don’t usually have to, they just show up somewhere, anywhere. These were photographed as I moved down a dirt road towards a spot Eagles have been active. Here lower water exposed dry spots off the side of a dike. Perfect, sunny and water between them and everything else.